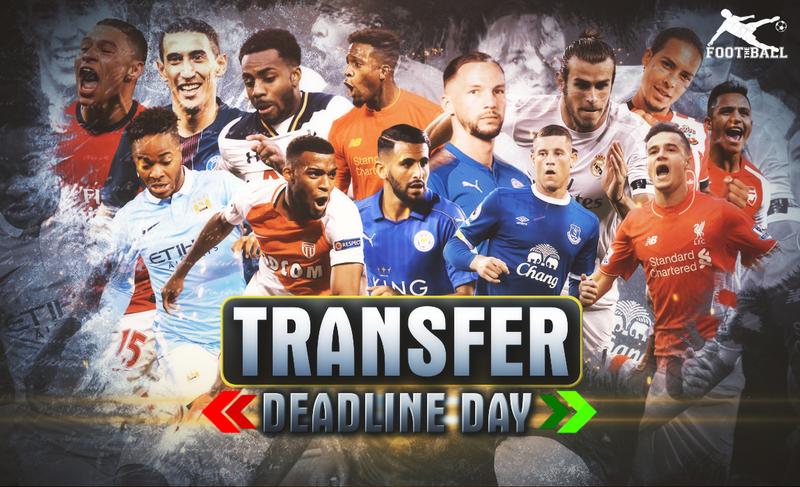 All the LIVE updates as we reach the final few hours of Transfer Deadline Day! Davide Zappacosta Undergoes Medical Ahead Of Chelsea Move! 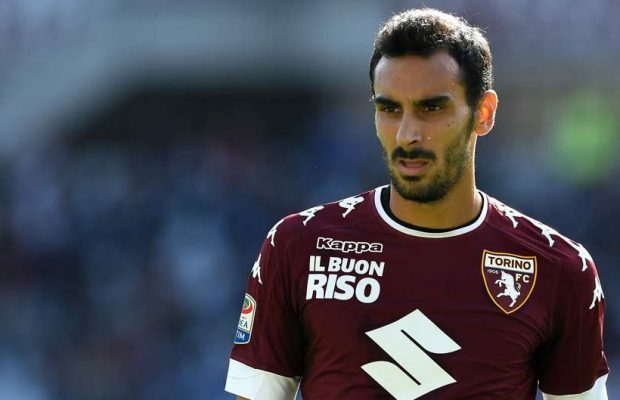 Davide Zappacosta has begun his medical ahead of a €25m move to Chelsea from Torino, claim reports. He will be Chelsea’s First piece of business on the Deadline Day. Alexis Had Informed His Close Ones That A Move To City Was Done! 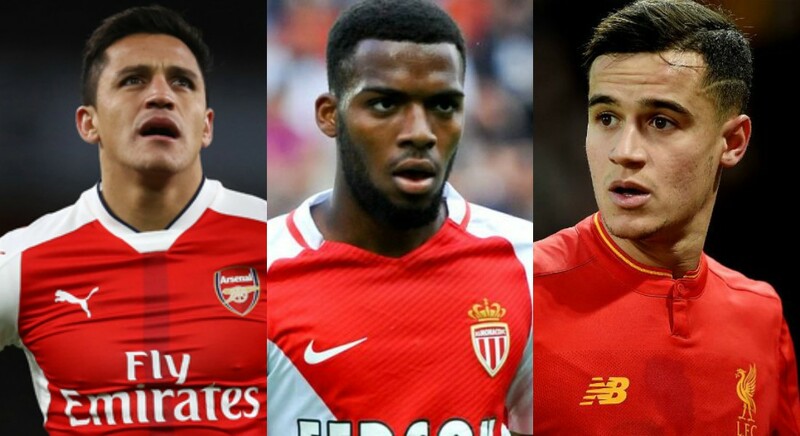 Alexis left in despair after his move to Manchester City Broke Down Beause Lemar Turned Down Arsenal. Sanchez was confident about the deal but Arsene had other plans! Llorente To Join Spurs For 15 M Euros! Chelsea have been beaten again in the transfer window as Spurs are set to announce the Signing of Llorente from Swansea! Vlasic Joins Everton, Signs Five-Year Contract! 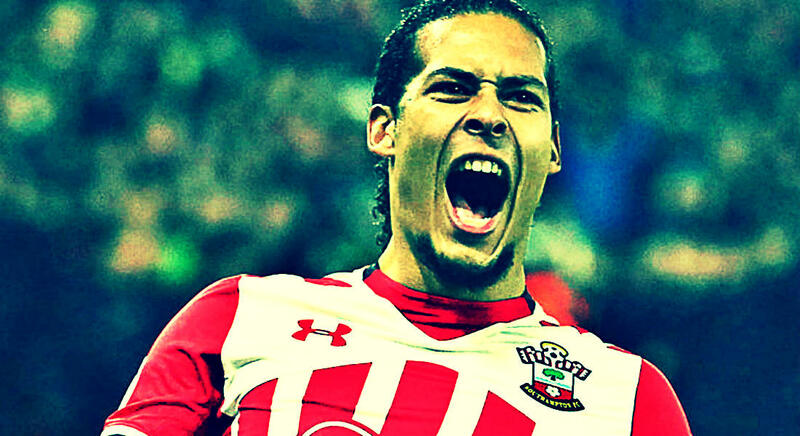 As per Reports Van Dijk will stay at Southampton this summer. 3 year deal. Fee Undisclosed. 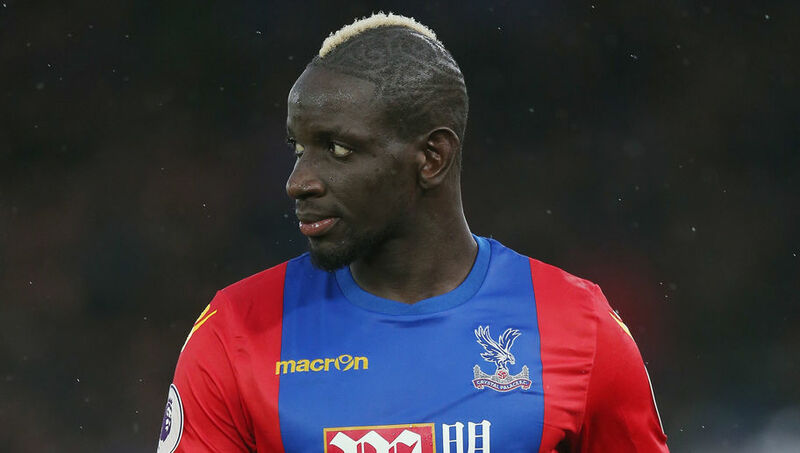 Mamadou Sakho was spotted in London earlier today as reports suggest Crystal Palace have agreed a fee with Liverpool. According to our sources, he is currently having his medical. 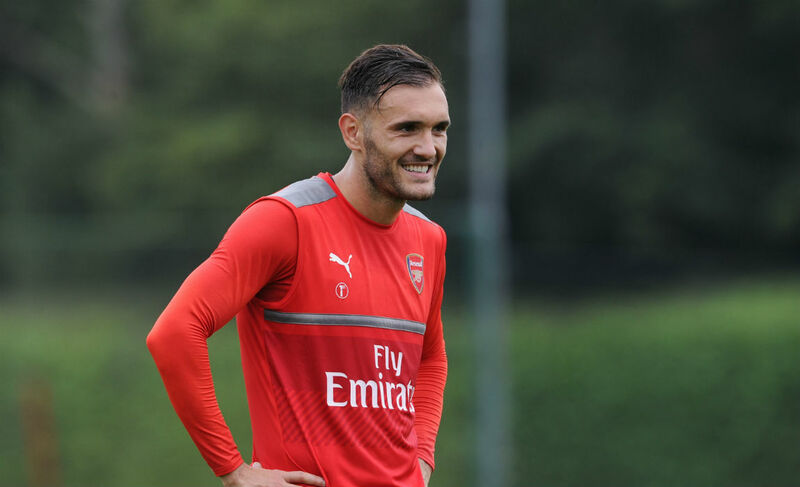 Lucas Perez Joins RCD Deportivo from Arsenal On Loan! There is no new update on Virgil Van Dijk. As things stand, the player is staying at Southampton. 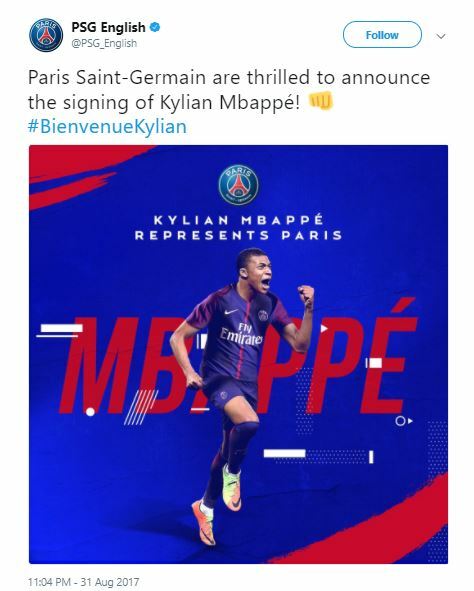 Sky Sports reporter Bryan Swanson, says: “The expectation is that Paris Saint-Germain will announce this deal within the next half an hour. 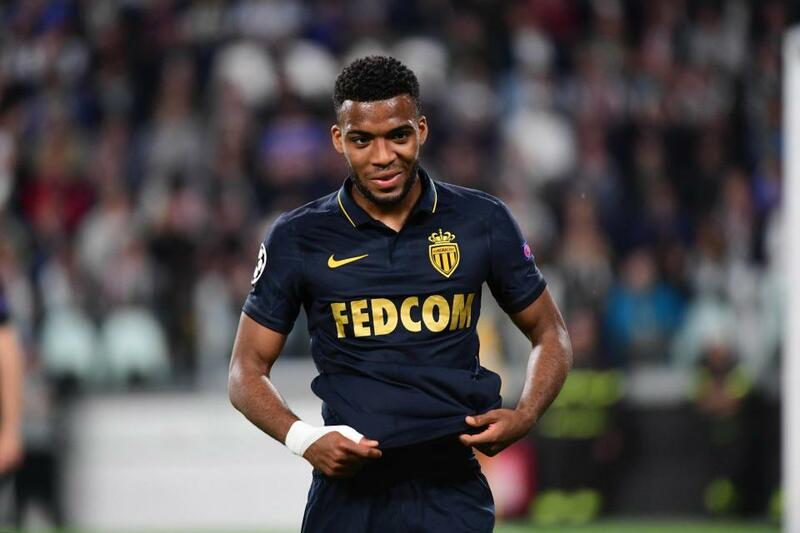 “There is a possibility that Monaco will try to move the goalposts a little, and try to get Angel Di Maria to move the other way, which will then affect the Thomas Lemar deal. 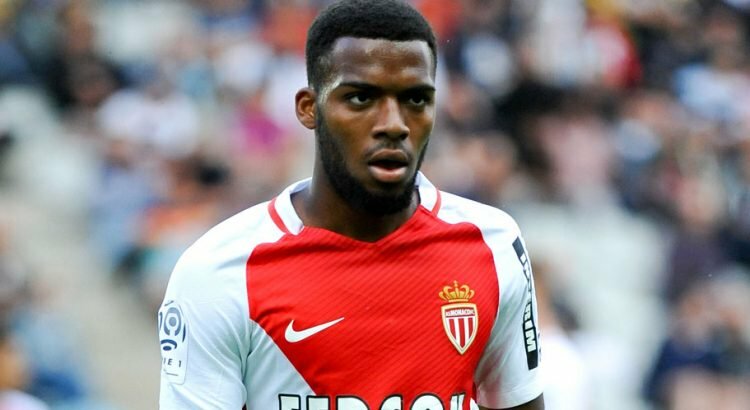 Sky Sports report that Monaco Star Thomas Lemar does not want a move to Arsenal. 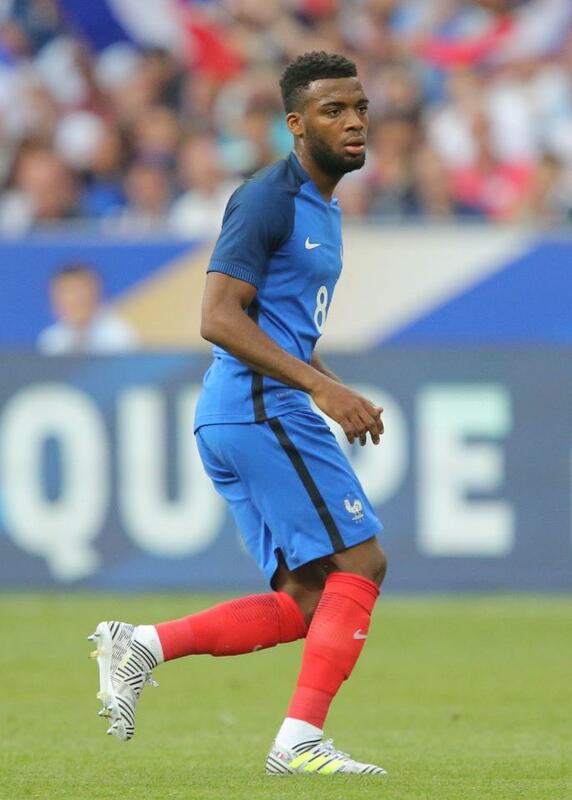 Thomas Lemar to Arsenal is unlikely as he prefers a move to Liverpool to play in the Champions League. 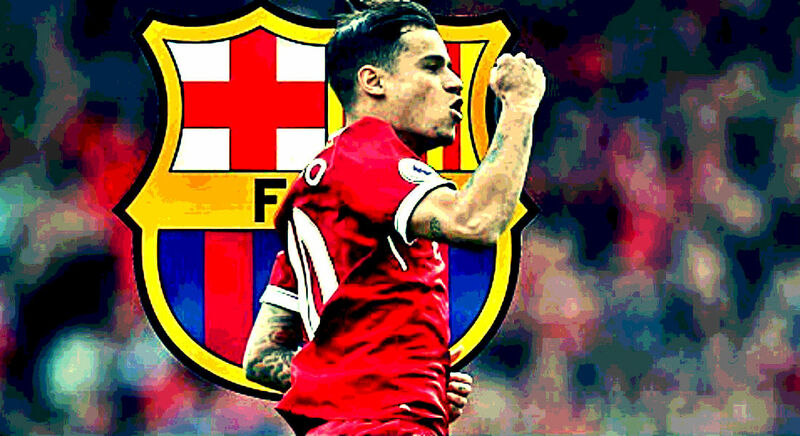 And if that happens, Coutinho might be allowed to secure his dream move to Barcelona. Alexis Sanchez move from Arsenal to Man City now “in the balance” because Arsenal are not getting Thomas Lemar. Out-Of-favour Arsenal forward Lucas Perez is closing in on loan move to Deportivo La Coruna. Newcastle were also linked to the Spaniard but it seems he is heading back to La Liga. 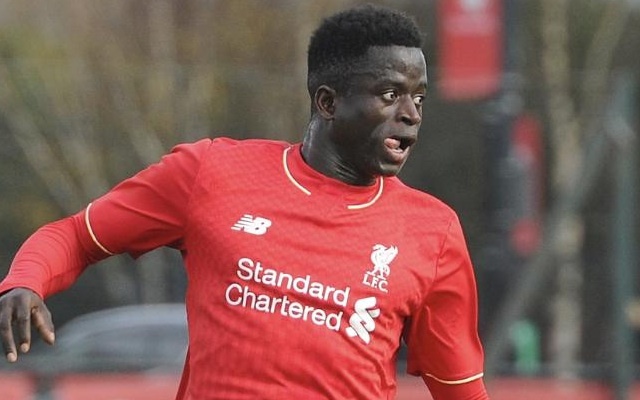 Liverpool academy forward Toni Gomes has joined Forest Green Rovers on a season-long loan deal. The Bundesliga Transfer Window Is Now Closed! 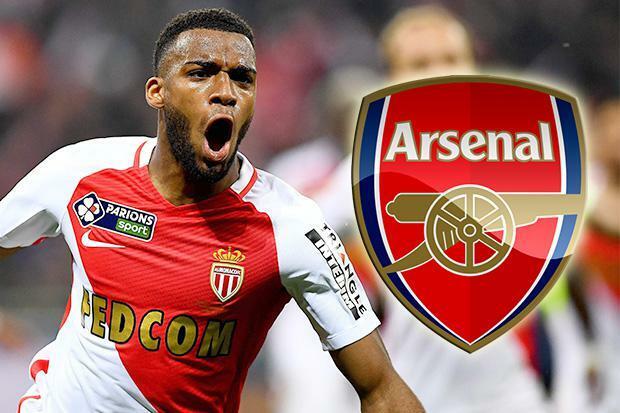 New Twist In The Tale – Lemar From Monaco To Arsenal Is Now Very Unlikely. According to The Guardian, Arsenal were willing to match Monaco’s asking price of €100m for Lemar but the Gunners now feel that they do not have sufficient time to agree a deal with the player, who is currently on national duty with France, and is expected to start against Holland with the kick-off less than 3 hours away. 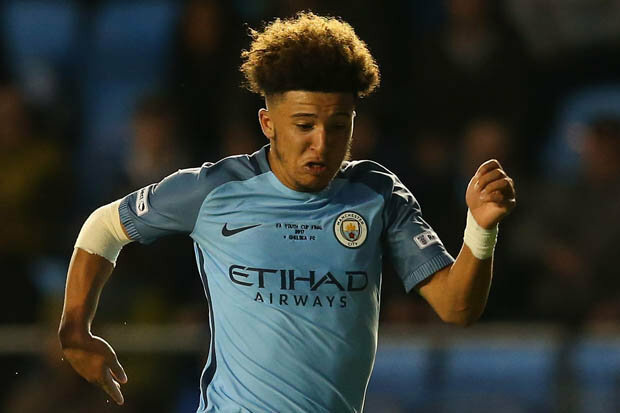 Manchester City have confirmed highly-rated youngster Jadon Sancho has joined Borussia Dortmund on a permanent deal. What was wrong with No 85…? Renato Sanches will wear No 35 for the Swans this season. Liverpool have launched a late bid for Real Madrid star Kovacic as it seems that they lost to Arsenal in the race for Monaco winger Thomas Lemar. 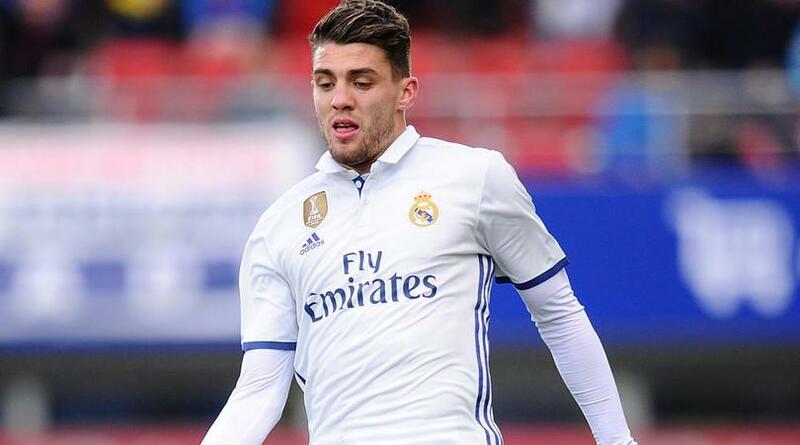 The Reds have now made a last minute bid for Kovacic and are keen to seal the deal before the transfer window shuts shop. Young goalkeeper Steven Benda has joined the club from @TSV1860 on a three-year deal. Swansea have signed young goalkeeper Steven Benda on a three-year deal from 1860 Munich. Arsenal have launched a £92m (€100m) bid to sign Thomas Lemar from Monaco. The Ligue 1 champions are not willing to sell Lemar but Sky sources believes that they could be tempted by Arsenal’s staggering €100m offer. 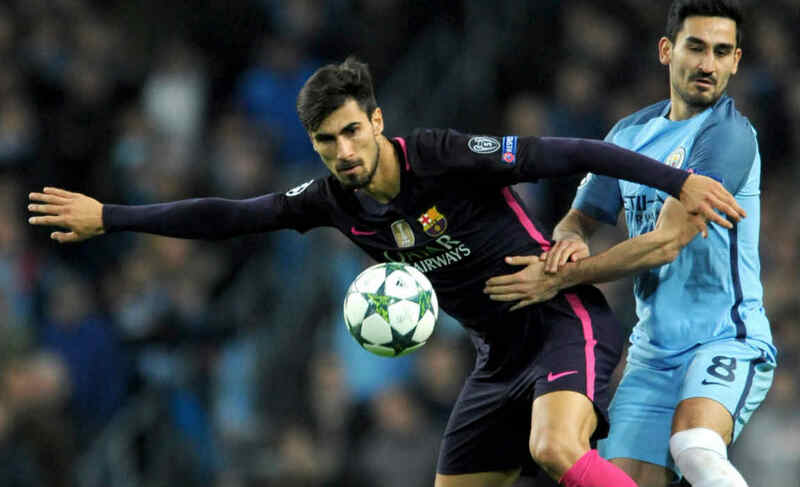 Spurs are confident of beating West Ham to the signing of out-of-favour Barcelona midfielder Andre Gomes. 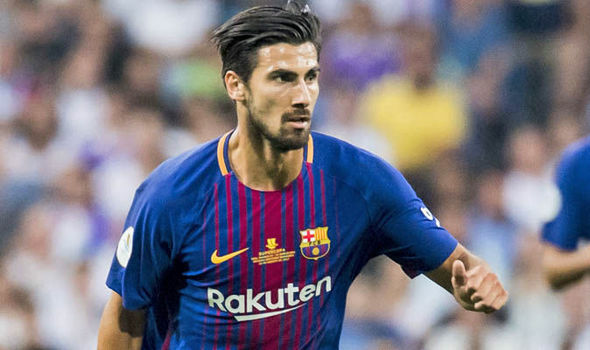 Tottenham are discussing a deal to sign Barcelona midfielder Andre Gomes. Spurs remain interested in Barkley but his injury seems to have forced the North London club to look elsewhere. 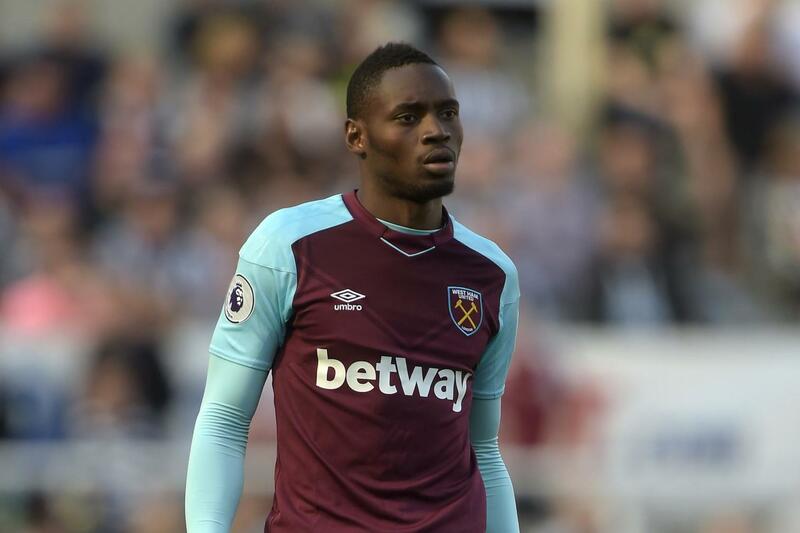 Sky Sports says that Diafra Sakho is now on his way to the London Stadium for talks about his future with West Ham. Sakho has spoken to West Ham on the phone today to discuss “off-field personal issues”. Sky asked his advisers whether Sakho was staying at West Ham or moving to Rennes and have been told: “West Ham are aware of his off-field personal issues”. West Ham’s position remains that he is not for sale. 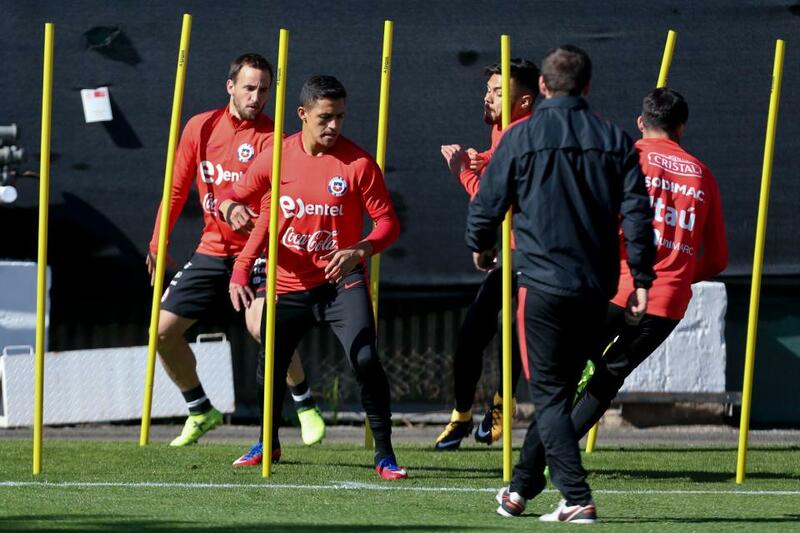 According to AS Chile, Alexis Sanchez has told his Chile team-mates he is leaving Arsenal to join Manchester City. 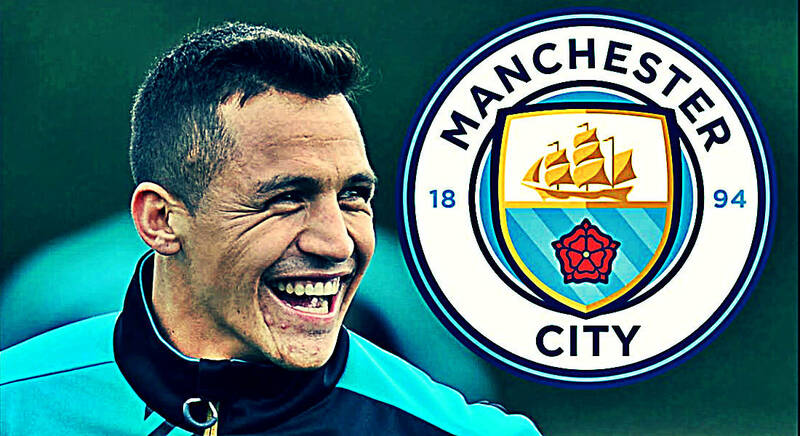 According to the Daily Mirror, Arsenal have agreed in principle with Man City over a deal for Alexis Sanchez. Manchester City launched a bid of £55m, plus £5m in add-ons for Alexis Sanchez, according to Sky Sports. We Have To Wait Until It Is Confirmed. 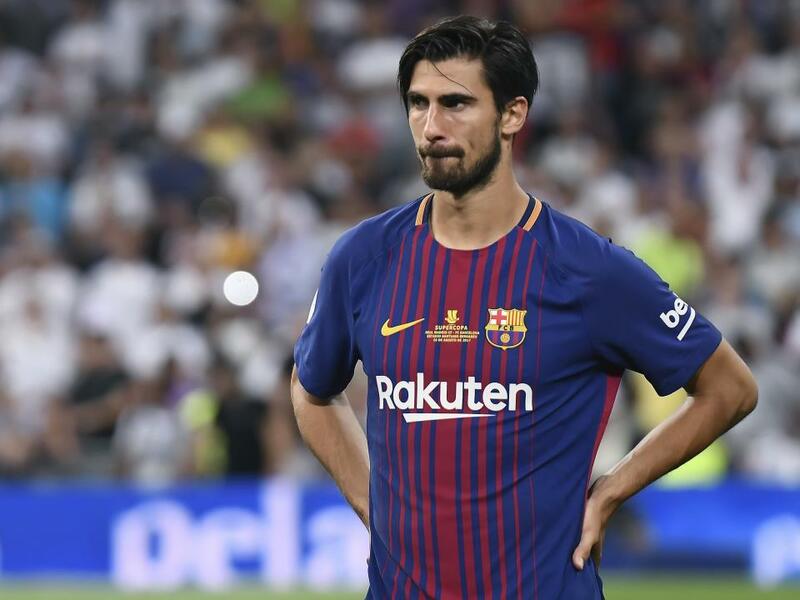 Can Andre Gomes Seal A Move To The Premier League? West Ham boss Slaven Bilic have now identified back-up options in case the deal for the Portuguese holding midfielder breaks down. Bilic wants a central midfielder and West Ham have shifted their attention to out-of-favour Barcelona star Andre Gomes and Arsenal’s Jack Wilshere. And according to Football London, Barcelona have put Gomes on loan list. 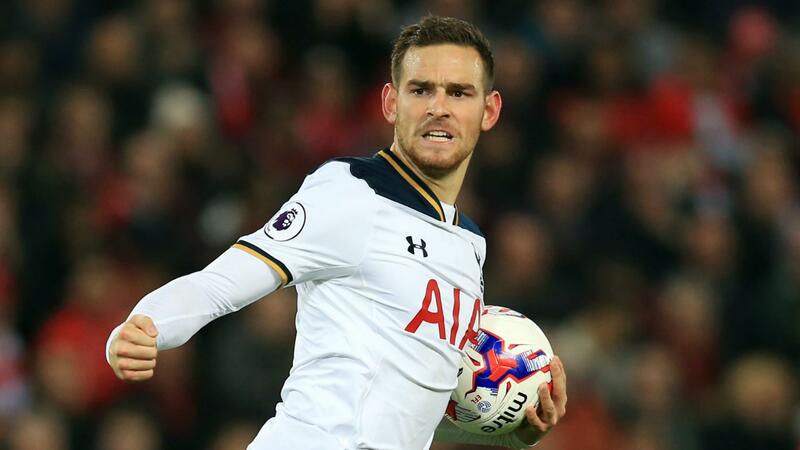 West Bromwich Albion are ready to spend £23 million to rope in out-of-favour Tottenham striker Vincent Janssen. 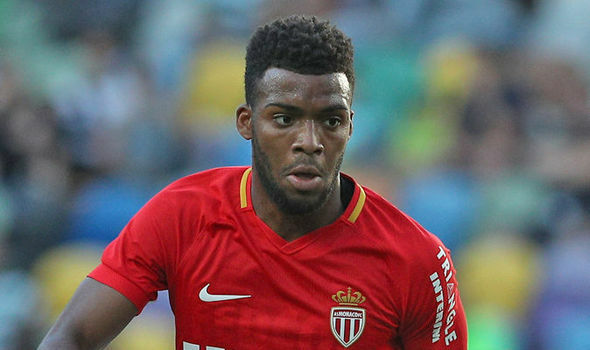 Arsenal have revived their interest in Monaco midfielder Thomas Lemar and are ready to pay £90 million for his services, according to the Daily Mail. 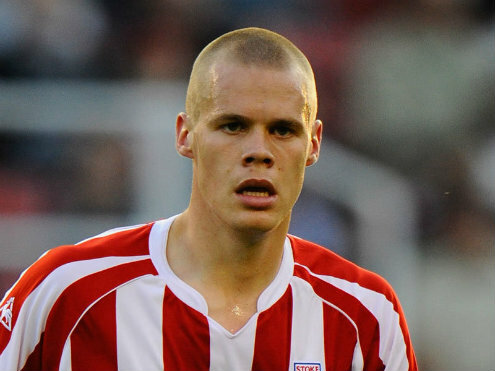 Ryan Shawcross has signed a new four-year deal at Stoke. 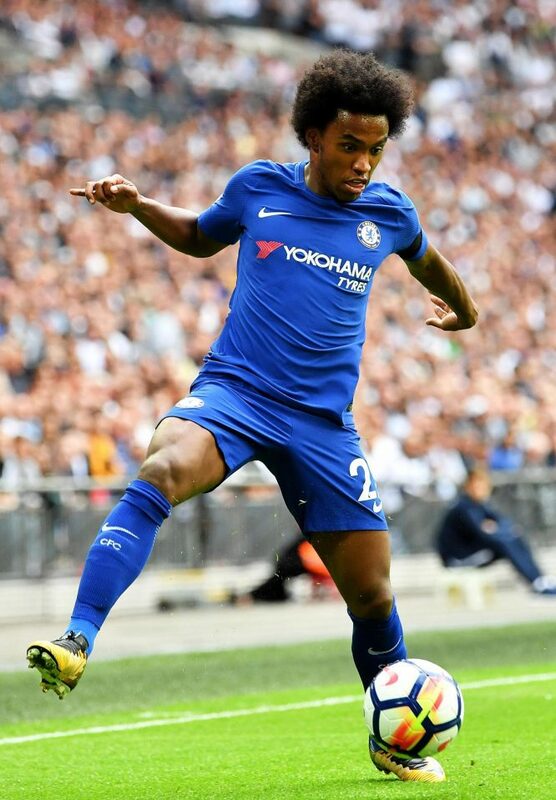 According to The Sun, Man Utd are plotting a late move to lure away Willian to Old Trafford. Earlier this month, the Brazilian winger had revealed that Mourinho had held talks with his representatives over a move to Man Utd. The Special One is keen to land the Brazil star at Old Trafford, where he would join his former Blues team-mate Nmanja Matic. 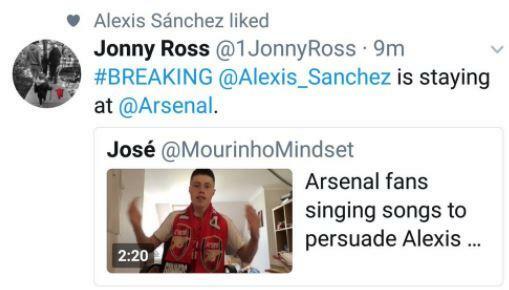 Alexis Sanchez has ‘liked’ a tweet saying he is staying at Arsenal. Liverpool have confirmed Divock Origi has joined Wolfsburg on a season-long loan. SIGNING: Burnley Football Club is delighted to announce the signing of Nahki Wells on a three-year deal. Burnley have confirmed the signing of Nahki Wells from Huddersfield for an undisclosed fee. The striker will replace Andre Gray, who joined Watford. Wells has agreed a three-year deal and will wear the No 21 shirt. 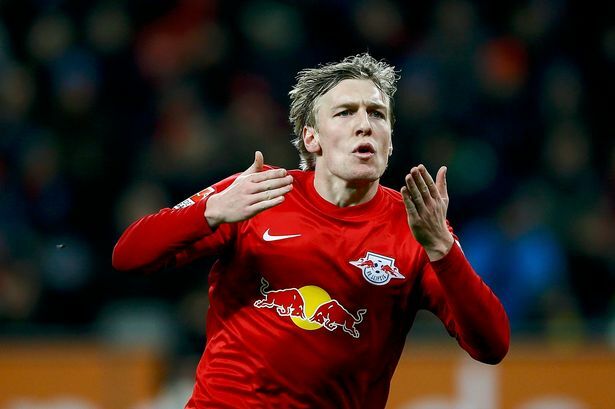 Bundesliga side RB Leipzig have announced the signing of Kevin Kampl as a replacement for Naby Keita, who will join Liverpool for the 2018-19 season. The 27-year-old Kampl moves from Bayer Leverkusen to Leipzig for a reported fee of €20m (£18.4m). 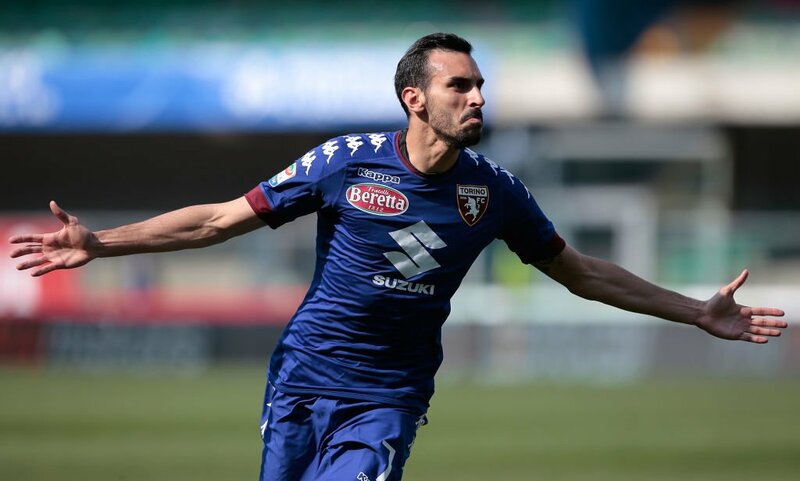 According to Sky Sports Italia, Chelsea have agreed a deal to sign Torino right-back Davide Zappacosta. The clubs have agreed on a fee of £23m plus add-ons. 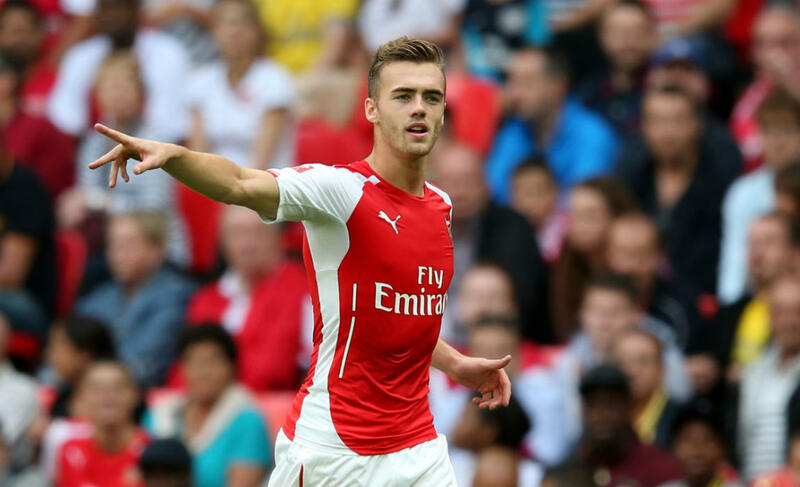 According to BBC, Arsenal have turned down two bids from Leicester City for Calum Chambers. The report states, the Foxes had launched two bids in the region of £20 million for Chambers, but both were rejected by the Gunners. 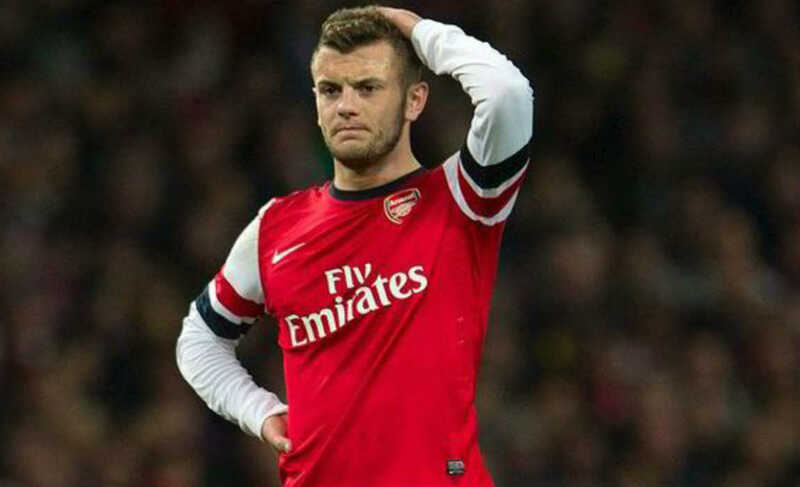 Birmingham City are trying to sign Jack Wilshere on loan from Arsenal, according to Sky Sports. Swansea have signed Renato Sanches on a season-long loan from Bayern Munich. A statement on the club’s website says: “Sanches has completed the necessary paperwork while away with Portugal, and will link up with his new team-mates upon his return from international duty. Alex Oxlade-Chamberlain Meets His New Skipper, Jordan Henderson. Borussia Dortmund have agreed a deal with Manchester City for their highly rated teenager Jadon Sancho, according to Sky Sports. Sky sources report that the deal is a loan which could become a permanent one. Barça say they not interested in Mahrez. That kills that one then. Chelsea have had a bid rejected by Bayern Munich for right-back Rafinha, according to Sky Sports. ✍️ | #watfordfc is delighted to announce the signing of goalkeeper Orestis Karnezis on a season-long loan. Watford have announced the signing of goalkeeper Orestis Karnezis on a season-long loan from Udinese. 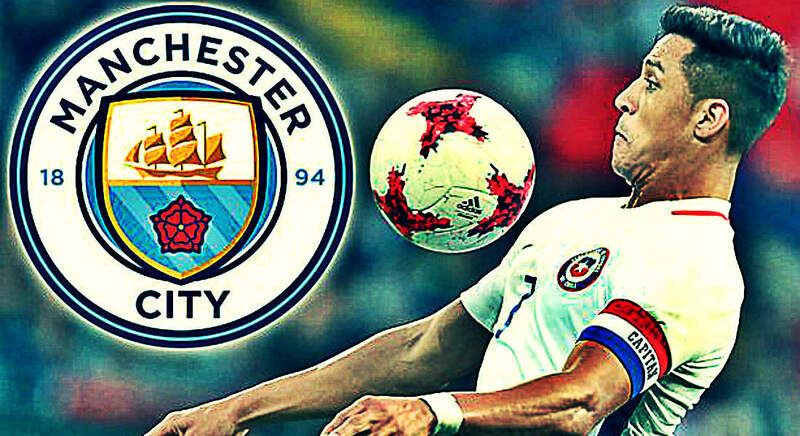 Manchester City make cash bid of £55m, plus £5m in add-ons for Alexis Sanchez. Man City have been in contact with Arsenal in the last hour and have made a second bid for Alexis Sanchez. 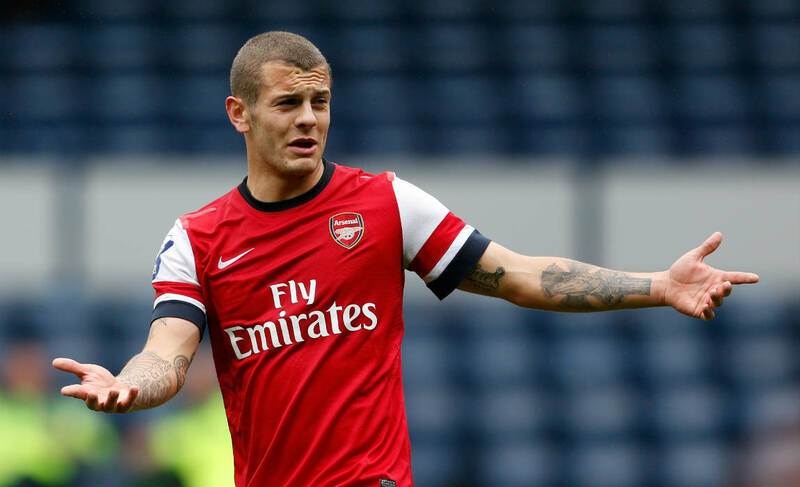 According to the Daily Mail, Zenit St. Petersburg and Real Betis have enquired about the availability of Jack Wilshere. However, the 25-year-old midfielder wants a move to West Ham, if the Gunners allow him to leave. According to The Sun, Arsenal will allow Sanchez to leave for Man City only if they land Julian Draxler from PSG. 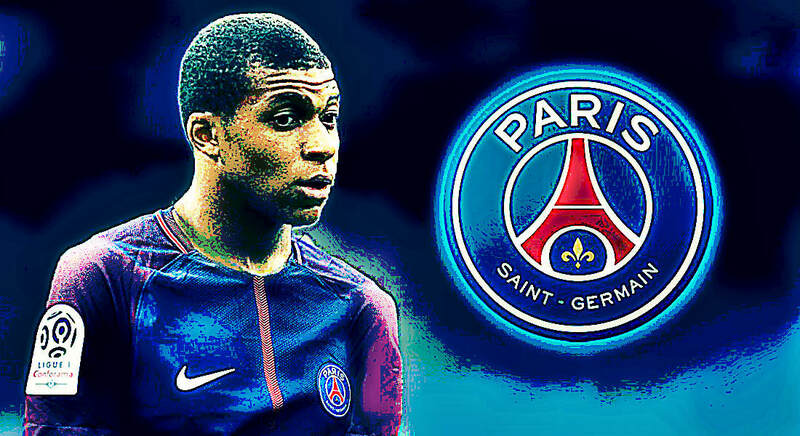 Paris Saint-Germain are willing to sell the player but the German wants to stay in Paris. 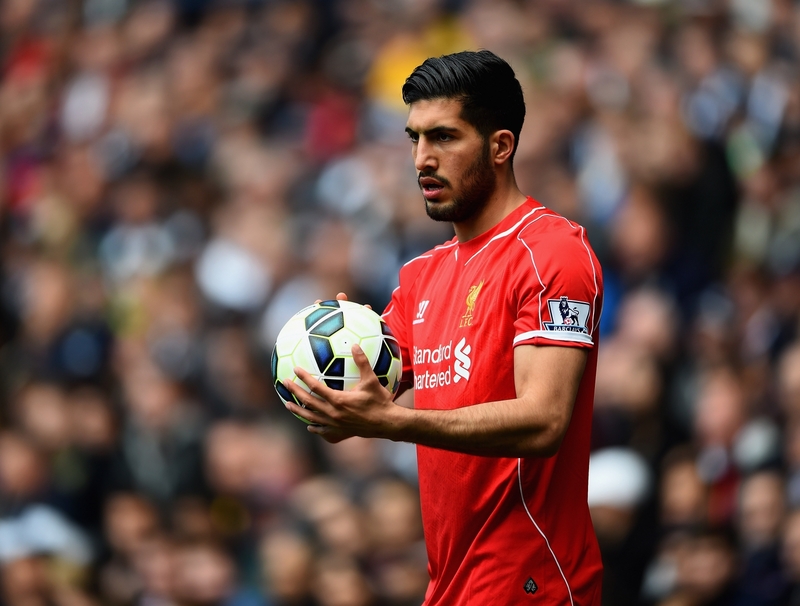 According to La Stampa, Juventus are set to launch one last bid for Liverpool central midfielder Emre Can. The German player have only one year left on his Liverpool contract. After seeing their €160m bid for Paulo Dybala rejected, Barcelona are now set to launch a late bid for AS Monaco star Thomas Lemar. Liverpool are reportedly in pole position to rope in the French winger. 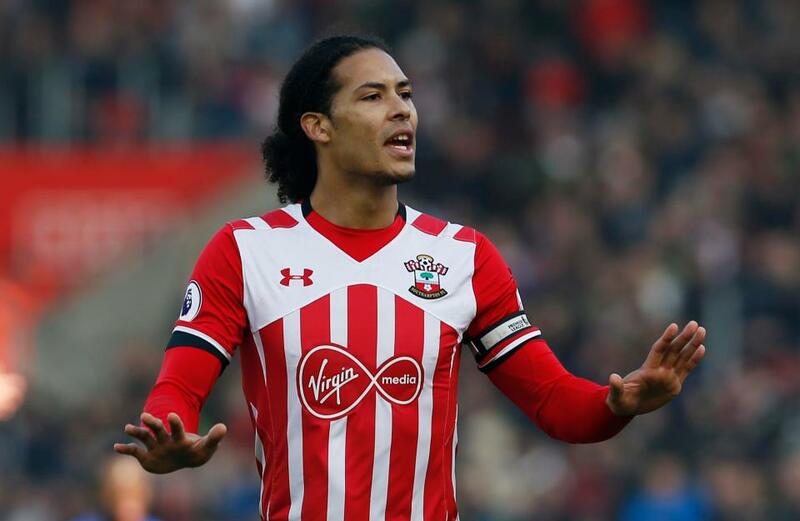 Virgil Van Dijk has left the Southampton training ground in the back of a blacked out car. But where is he going? 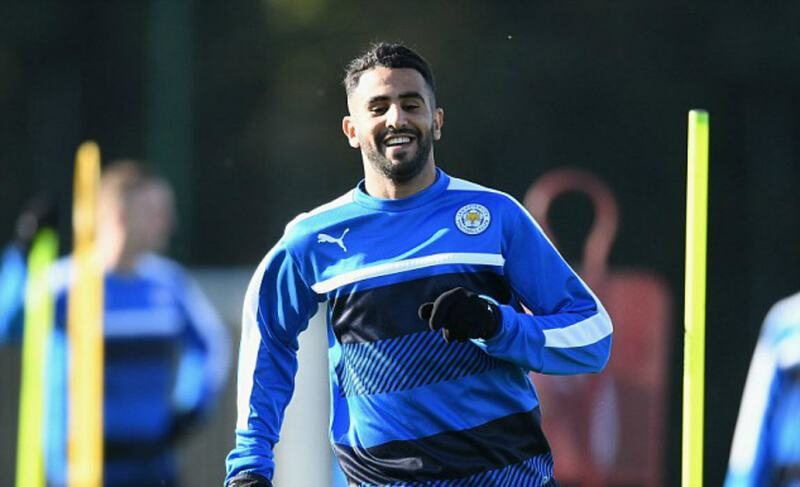 According to Sky Sports, all rumours linking Mahrez with Chelsea are vague. Chelsea have not held talks with the Foxes over a deal for the Algerian winger. After losing out in the race for Fabinho and Danilo Pereira, Ligue 1 giants PSG are ready to launch a bid for for OGC Nice midfielder Michael Seri. 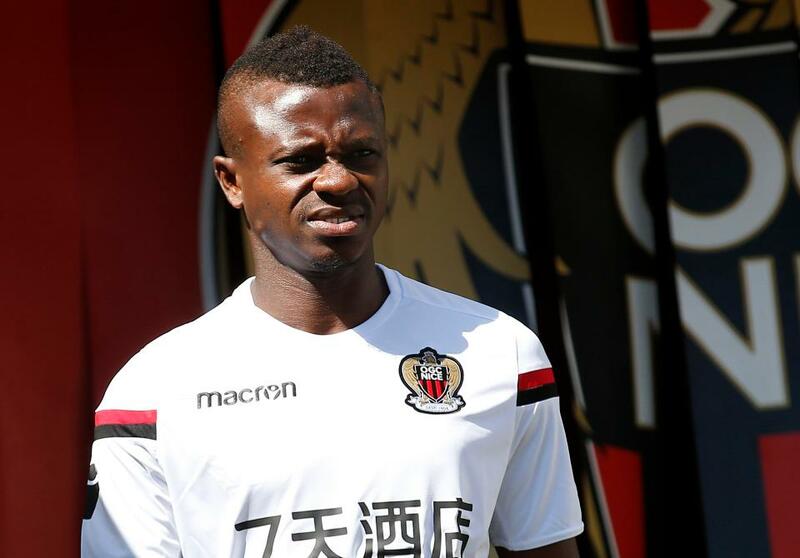 Earlier, Seri was close to join Barcelona before negotiations broke down. 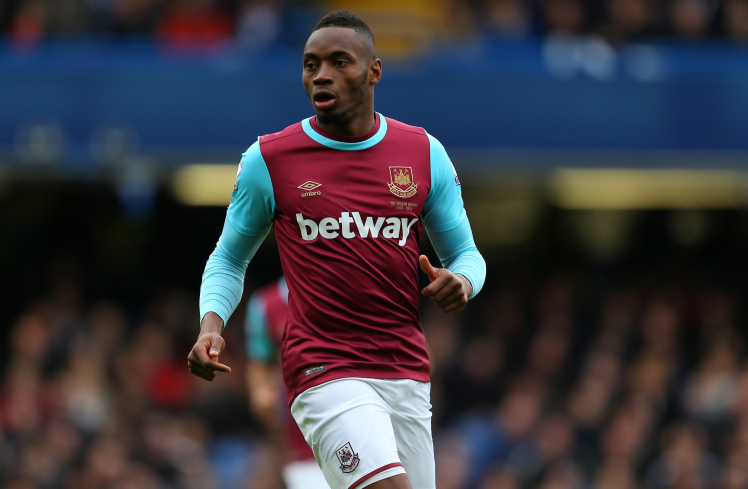 Diafra Sakho has made it clear what he wants from West Ham. HE WANTS TO LEAVE! 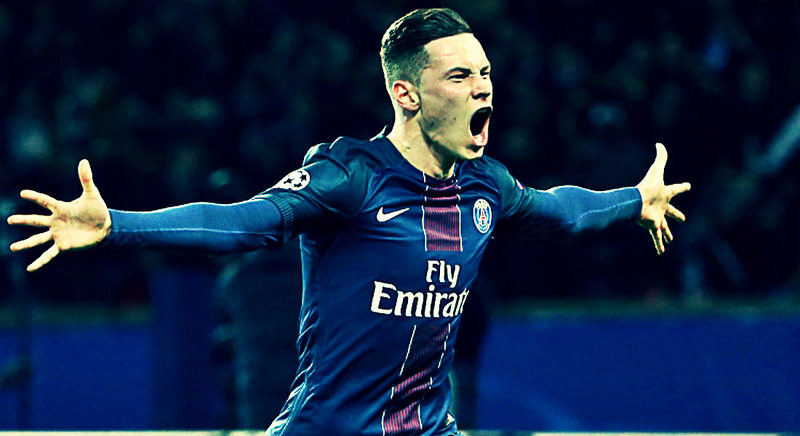 Aurier To Spurs – DONE! Tottenham have announced the signing of Serge Aurier from Paris Saint-Germain. The right-back has signed a contract with the club until 2022. Aurier said: “This is a huge and exciting opportunity at a massive football club and I am determined to prove myself as a professional both on and off the pitch. The Toffees are trying to rope in Lucas Perez on a season-long loan deal from the Gunners, who are now considering the offer, according to Sky Sports. But it is understood that the player wants to leave for Deportivo La Coruna on a season-long loan move. 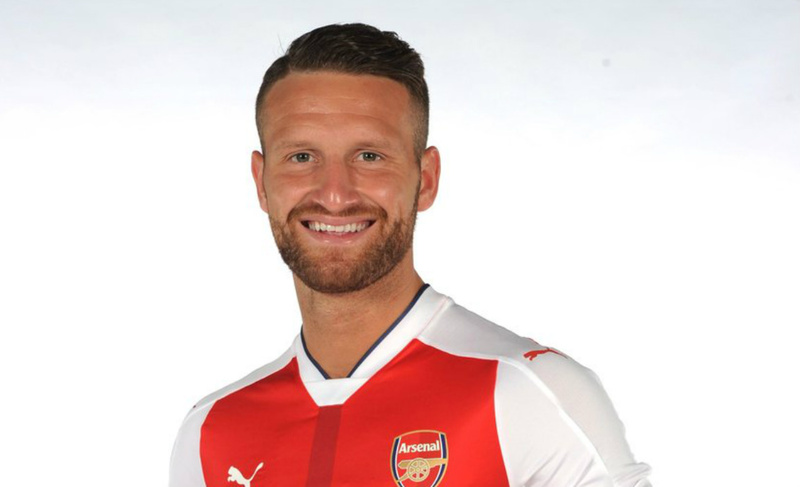 According to Sky Sports, Arsenal defender Mustafi will move to Serie A side Inter Milan on a season-long loan move. He says: “Arsenal defender Shkodran Mustafi will not be joining Inter, who have also hit a road block in their pursuit of Man City’s Eliaquim Mangala. 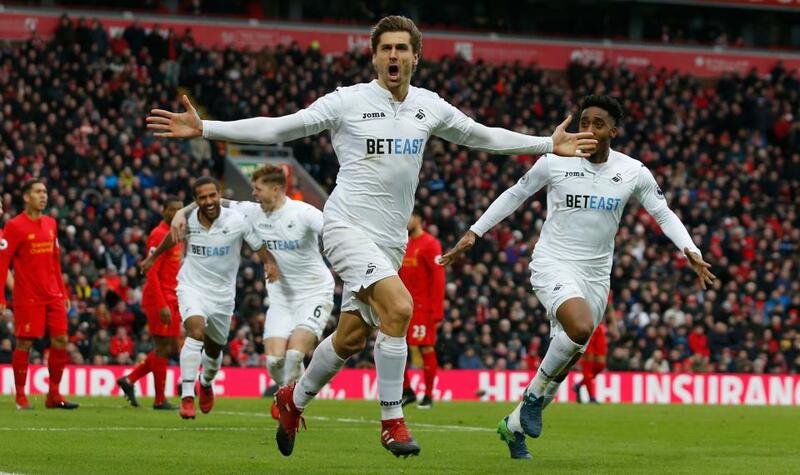 Wilfried Bony will have a medical at Swansea later today, which will free Fernando Llorente to leave with Tottenham in pole position to sign him, according to Sky Sports. 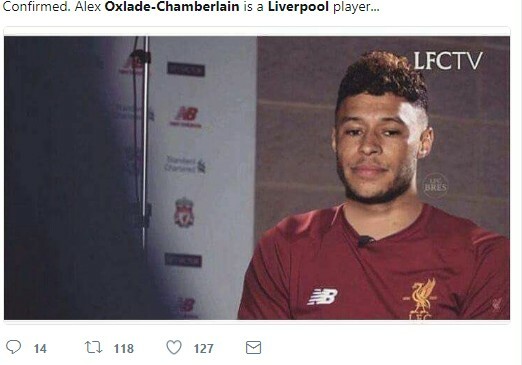 Liverpool have completed the signing of Alex Oxlade-Chamberlain on a long-term contract from Arsenal. 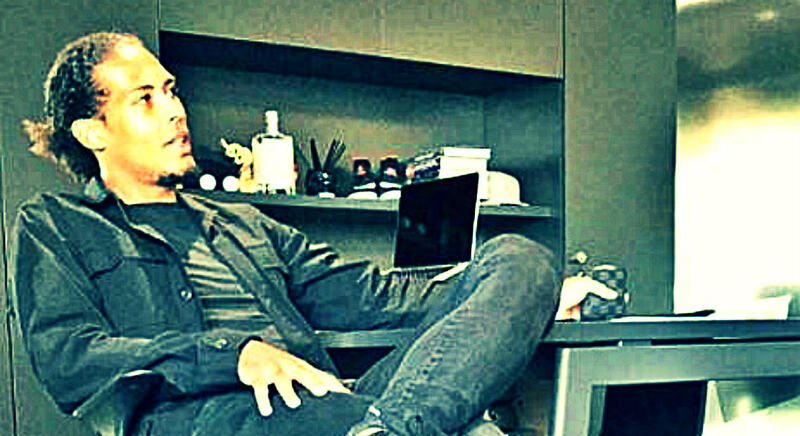 “I’m currently away with England, so I’m at St George’s Park. Firstly, I’m delighted to have signed for Liverpool and a big thank-you to everyone here at the FA that has made this possible, using the facilities. It has been a massive help. He told Liverpoolfc.com: “I am really, really happy we have got Alex signed. Since the last game I have been waiting and hoping we could make this transfer – and when I got the news he was ours it was fantastic. “I remember the first time I saw him play live – it was at Dortmund in 2014 and he came on as a sub that day and made a big impact. He stood out immediately because of his pace and skills and his attitude in such a big game for a young player; I remember him chasing back to make a brilliant challenge on Mkhitaryan in the box to save a certain goal. “I hear a lot of talk about positions but let’s talk about the player; he is someone with really good abilities who always gives everything for his team. A player that is positive and willing to take risks to try and make positive things happen. 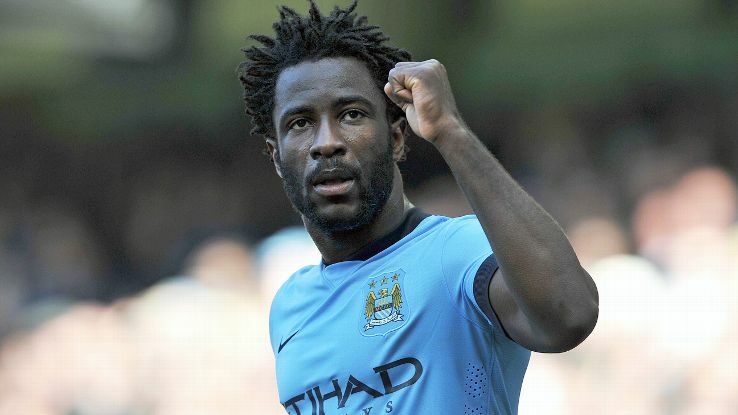 “He may still be young but he has a lot of experience in the Premier League, Champions League and for his country. Already he is a very, very good player and I think he has the mentality and desire to get even better – and that excites me. 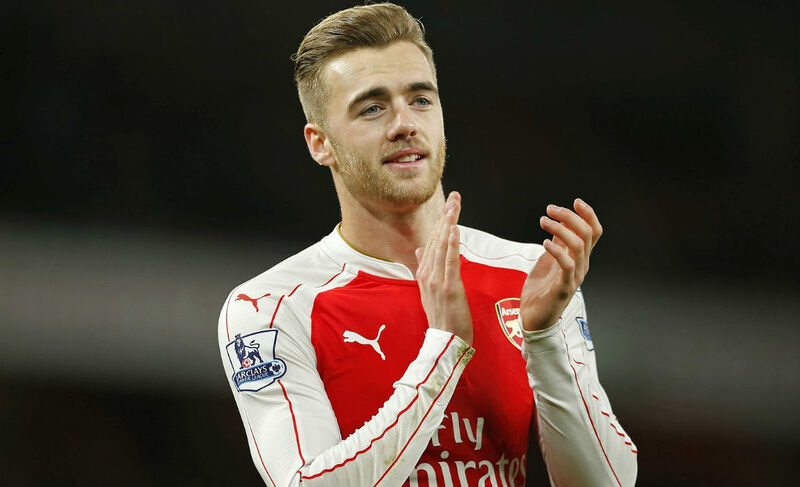 According to Sky Sports, Leicester City have seen their £20m bid for Calum Chambers rejected by the Gunners. The Foxes have been chasing the Gunner defender for a long time. According to Guillem Balague, Bojan Krkic has joined Alaves on a season-long loan deal. The Report claim that there is no option to buy in the deal. Cyril #Thereau Is An #ACFFiorentina Player! Galatasaray have confirmed that Jason Denayer has completed his medical ahead of a proposed loan move from Manchester City. They’ve posted photos of Denayer having his medical, including one of him kissing the Galatasaray badge! 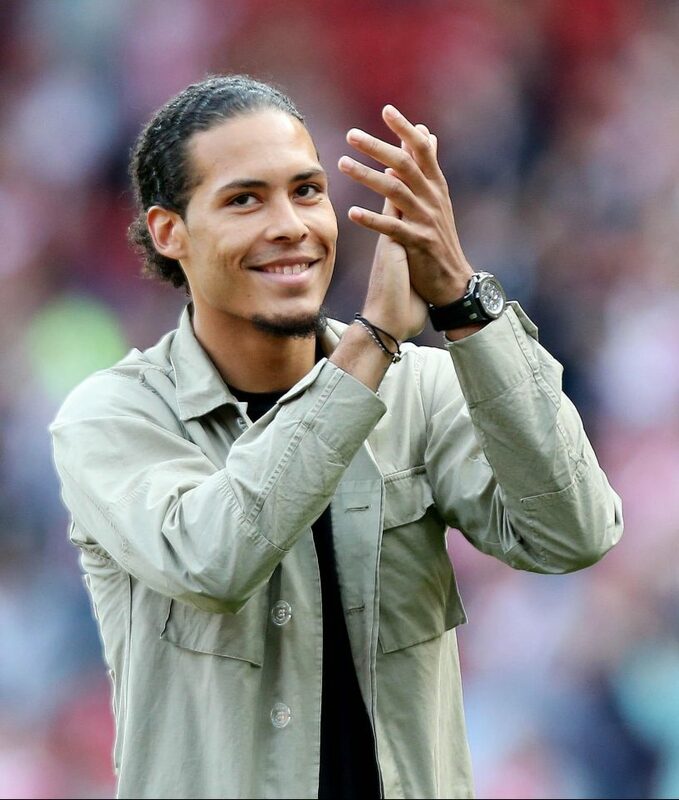 Sky Sports Reporter Jane Dougall said: “Virgil Van Dijk has arrived for training this morning but he drove through a back gate, presumably to avoid the cameras who are here waiting to see if he’ll stay here or not. “He’s been training every single day, we’ve been told, but on his own. That follows him handing in a transfer request earlier this month. Vice Chairman Les Reed has even said he would be alongside new players coming in to the club. 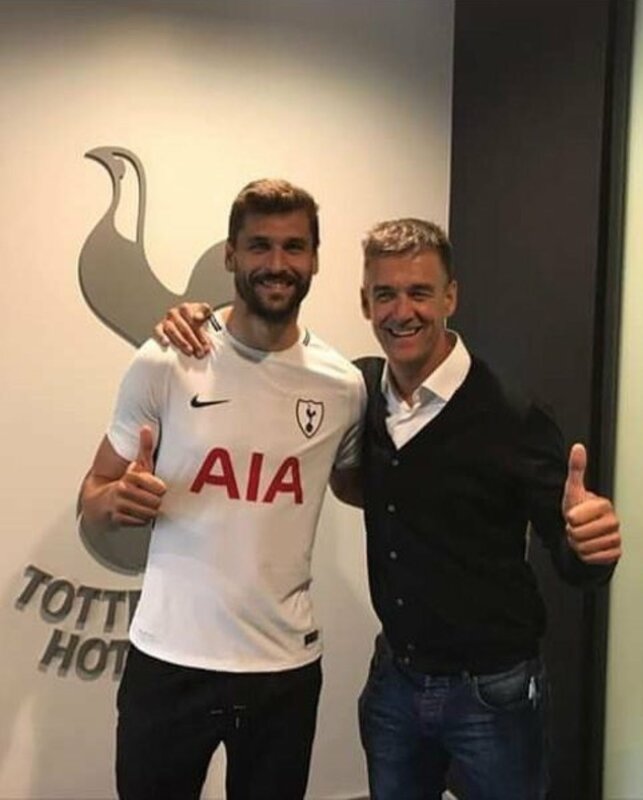 Tottenham’s Shock Bid For Fernando Llorente Accepted By Swansea! David Ornstein of BBC has reported that Spurs have beaten competition from Chelsea to sign the 32-year-old striker. 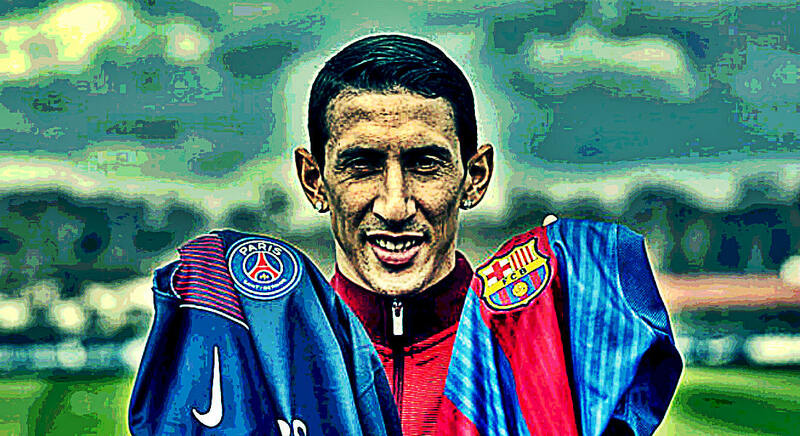 According to Don Balon, Angel Di Maria has informed PSG bosses that he wants to make a switch to Barcelona. Di Maria wants to join his close pal and international team-mate Lionel Messi at the Nou Camp. According to Diario Gol, Arsenal have entered the race to sign 26-year-old youngster Lucas Vazquez. The Spanish player made 50 appearances in all competitions for Real Madrid in the 2016-17 campaign. Roma, Juventus, and Liverpool have also been linked with him. 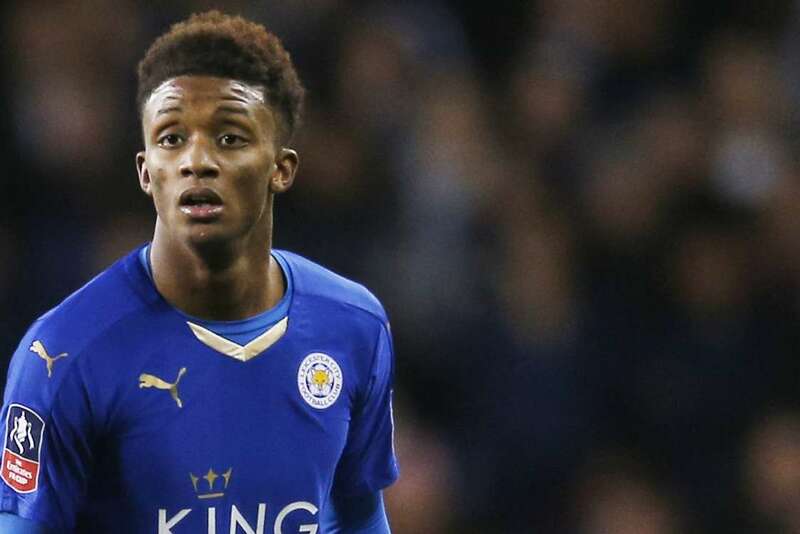 Leicester City are not willing to sell the talented youngster and have turned down Bournemouth’s £25m bid for Demarai Gray, according to Sky Sports. According to Sky Sports, Mahrez’s preferred destination is London. Chelsea are keen on roping in the Algerian playmaker. According to reports, Arsenal have already dropped out of the race to land the Leicester star. 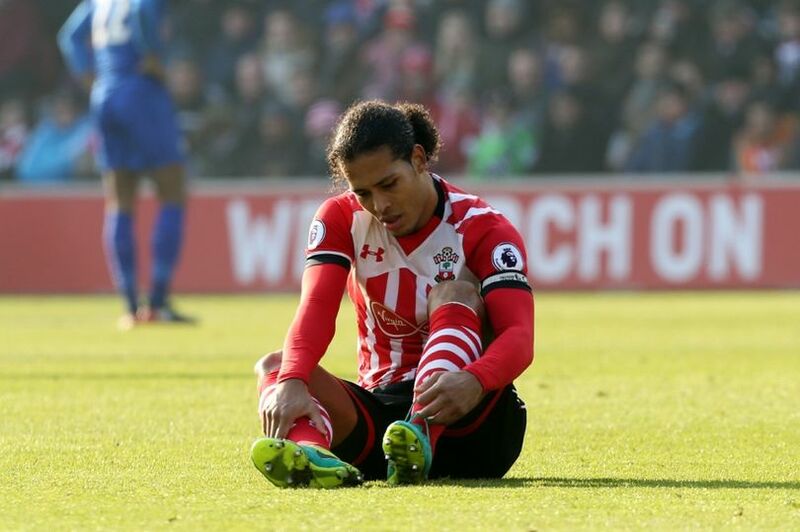 According to The Sun, wantaway Saints star Virgil Van Dijk has agreed personal terms with Liverpool and is hoping to complete his move away from Southampton before the transfer window shuts today. Arsenal and Chelsea are also keen on securing his signatures and are expected to launch late bids today. 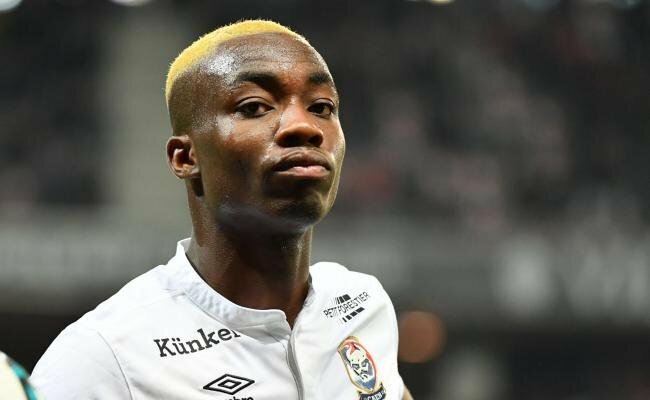 According to Gianluca Di Marzio, 19-year-old Yann Karamoh has landed in Milan to complete a medical ahead of a permanent switch to Inter. 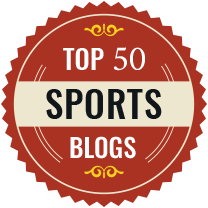 Premier League clubs Southampton and Newcastle were also interested in roping in the tenager. According to Sky Sports, Everton have turned down West Ham’s loan offer for Mirallas. Olympiakos are also trying their best to lure away the winger on a loan deal but the Toffees are no in no mood to let their player leave. 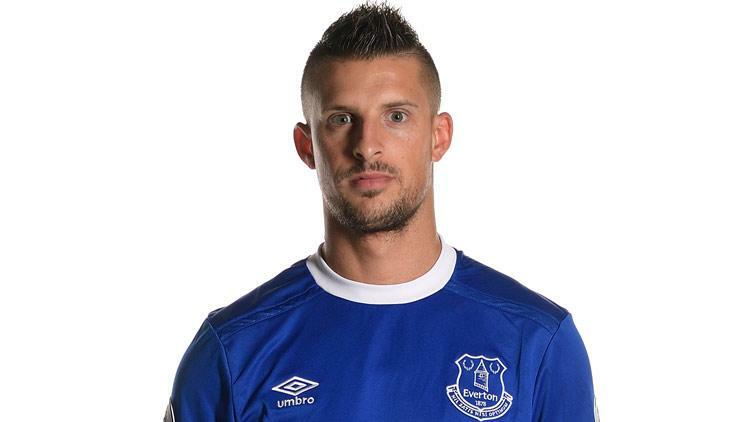 Reports suggest that Mirallas is not happy with life at Goodison Park. According to Sky Sports, Leicester City have not received any new offers for wantaway playmaker Riyad Mahrez. The last offer that came their way was the £31.8m bid from AS Roma, which the Foxes rejected. According to Sky Sports, West Brom are holding out for an offer in excess of £30m for Jonny Evans. 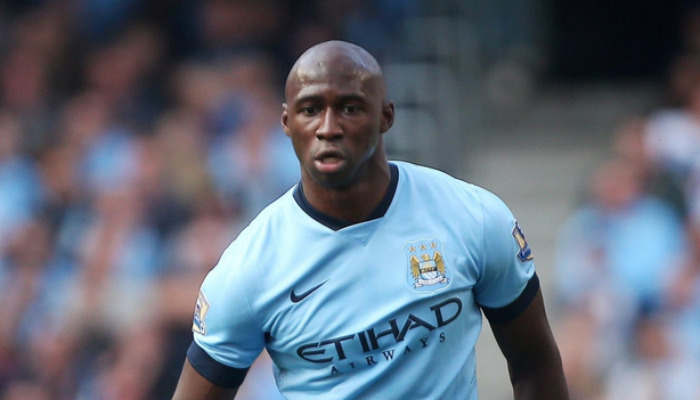 However, a swap deal including Elaquim Mangala going the other side might tempt WBA to sell their defender. West Brom have made it clear to Arsenal and Leicester that Evans is not for sale after rejecting both their bids which stood at £25m. The former Man Utd defender is an integral part of WBA’s plans this season and they are not ready to let him leave. Reports claim that Arsenal are set to return with an improved bid as German defender is set to leave the Emirates. 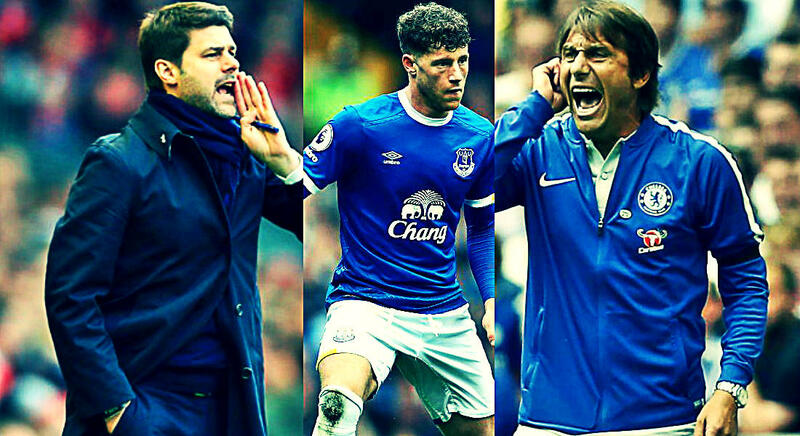 More misery for Blues boss Antonio Conte as Sky Sports report that Ross Barkley prefers Spurs move over Chelsea as he is keen to work under Pochettino. Chelsea have a shortage of midfield options and Conte have been trying to add more depth to their core by landing more home-grown midfielders. Rafinha, who is Ancelotti’s second-choice right-back at Bayern Munich, has drawn huge interest from Chelsea. According to Bild, Conte wants to add more depth to his squad and also provide competition for Victor Moses. Barcelona are keen to bolster their midfield and in a shock deadline day move, the Catalan giants launched a €160m bid for Juventus superstar Paulo Dybala, according to Corriere Dello Sport. But the Serie A giants have turned it down immediately. It is understood that Juventus will not allow their prized asset to leave in the 11th hour and with no replacements lined up. Crystal Palace have made a disappointing start to the new season and now they want to bolster thir back-line. Frank De Boer wants to land a tried and tested centre-back. After being dealt a huge blow in their pursuit of Liverpool star Mamadou Sakho, the The Selhurst Park outfit have turned their attention to out-of-favour Man City defender Mangala. According to The Sun, Palace is all set to close the deal. 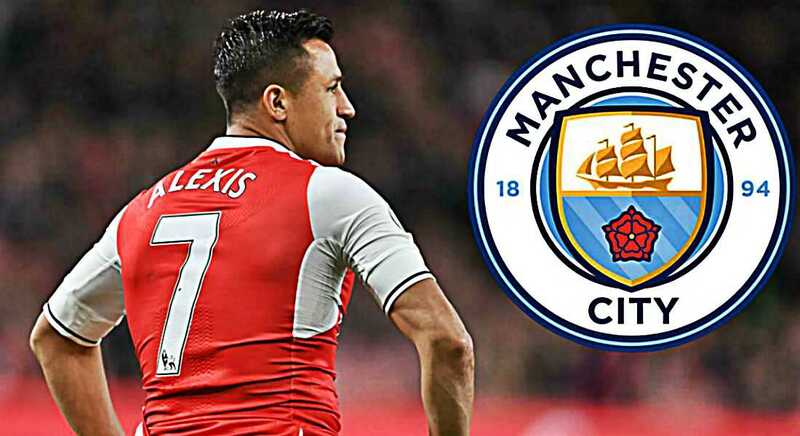 One of the big questions for today is whether Alexis Sanchez will leave Arsenal for Manchester City. The biggest question today is whether Alexis Sanchez will quit Arsenal for Manchester City. According to the Mirror, Arsenal will not allow Sanchez to leave until they rope in Julian Draxler from PSG. 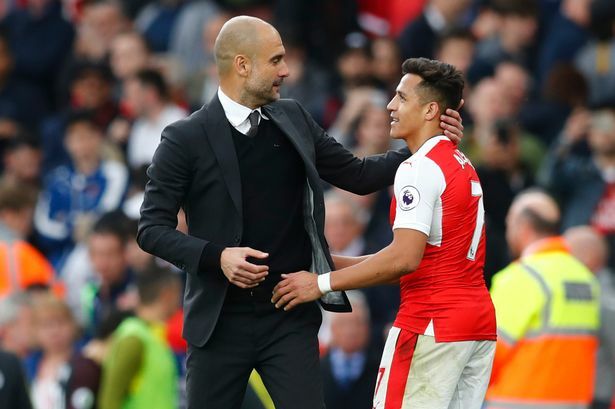 Balague tweeted: “Arsenal entertained conversations with City for Alexis. #AFC did not ask for a fee at first but 2 weeks ago suggested a swap for Sterling. As Lisbon keep holding out for a sum in excess of £40m for William Carvalho, West Ham boss Slaven Bilic have now identified back-up options in case the deal for the Portuguese holding midfielder breaks down. According to Italian reports, Nani is set to undergo a medical at Lazio. The reported transfer fee reported is around €15m. Everton are ready to splurge more cash this summer. 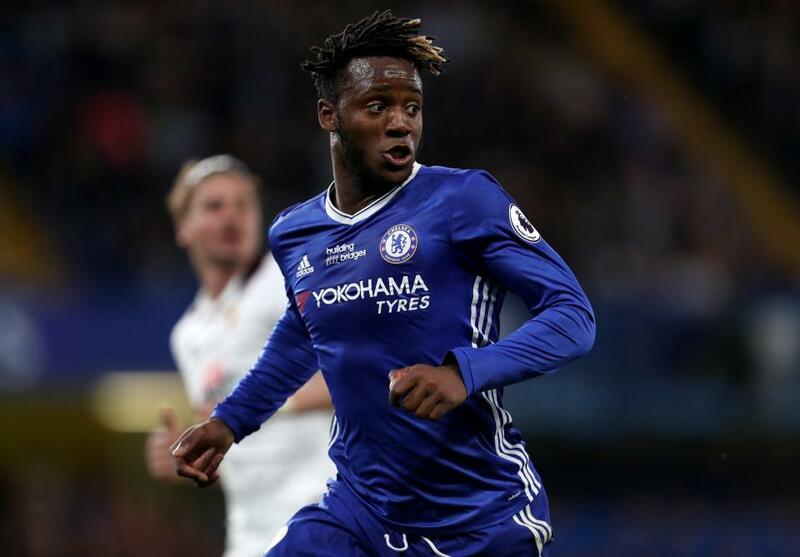 The Toffees are set to launch a bid for Chelsea striker Batshuayi. Ronald Koean have already spent £130m this summer and now wants an out-and-out striker as a replacement for Romelu Lukaku, who joined Manchester United this summer. Lisbon are holding out for a £40m offer for William Carvalho, and West Ham have now identified Arsenal’s Jack Wilshere as a back-up option in case the deal for the Portuguese midfielder breaks down. 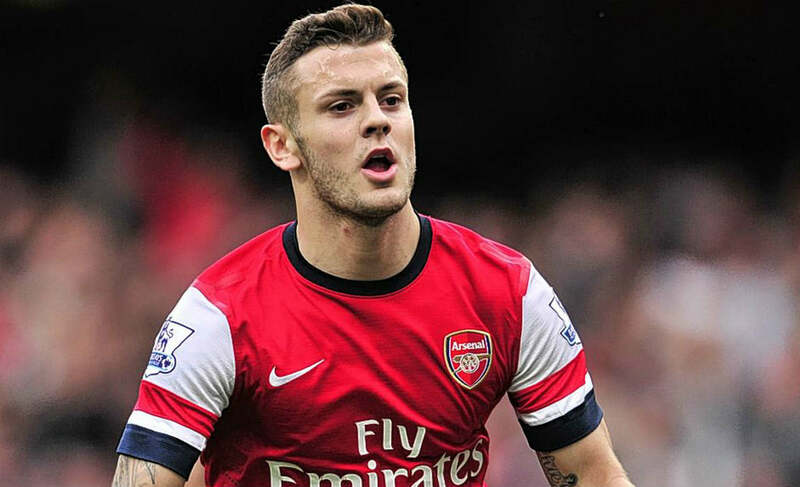 And according to The Sun, the Hammers are now trying to rope in out-of-favour Gunners midfielder Jack Wilshere on loan. Philippe Coutinho is still keen on joining Barcelona, who haven’t come back yet since a fourth bid of £138m was rejected. This one could drag on as Spain’s window closes tomorrow. Philippe Coutinho will start on the bench for Brazil in their WCQ v Ecuador. Brazil Head Coach Tite, who has some advice for Coutinho. PSG are keen to balance the books and want to act in accordance with Financial Fair Play regulations after signing Neymar on a world-record move from Barcelona this summer. 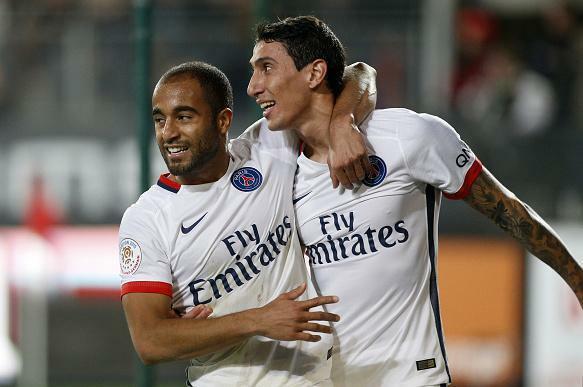 The Ligue 1 giants have now offered former Manchester United and Real Madrid winger Angel Di Maria and Lucas Moura to Spurs, according to reports from France. Arsenal To Drop Interest In Evans? So Mustafi stays (suiting neither him nor Arsenal) & that means #AFC ending own interest in signing #WBA Evans – also a target for #LCFC ! 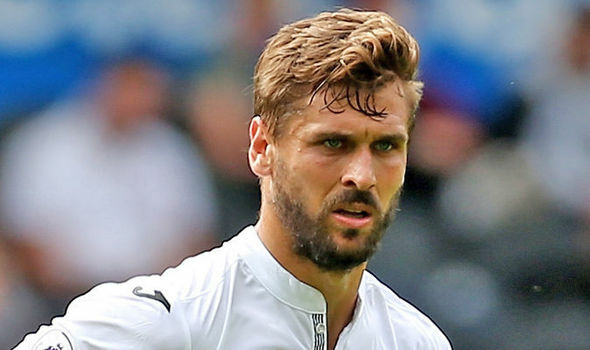 More misery for Antonio Conte as Spurs have matched Chelsea’s £15m bid for Swansea striker Fernando Llorente. Conte wants to reunite with the Spanish striker whom he had signed during his stint in Serie A. According to Goal.com, Pochettino is confident that they can hijack the 32-year-old striker from under the noses of Premier League champions Chelsea. 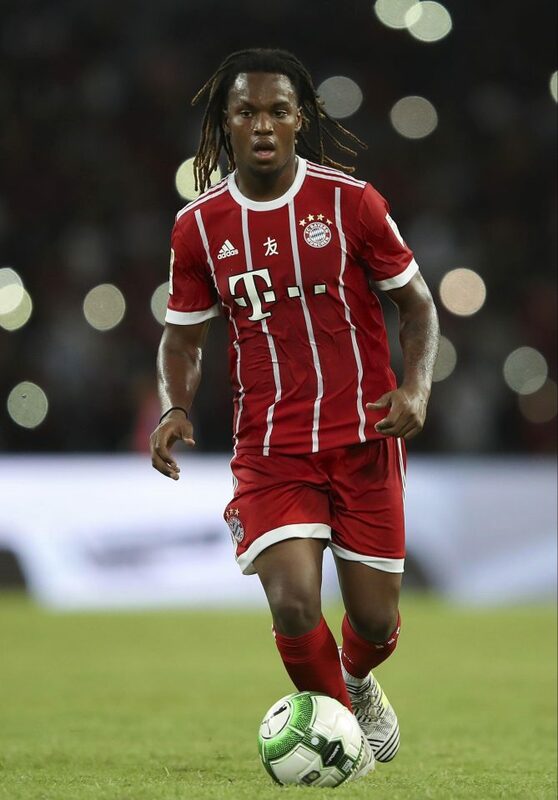 Swansea are close to agreeing a deal to sign Renato Sanches on loan from Bayern Munich. The loan fee to be paid by Swansea to the Bundesliga champions for the year-long agreement is in excess of £2m. 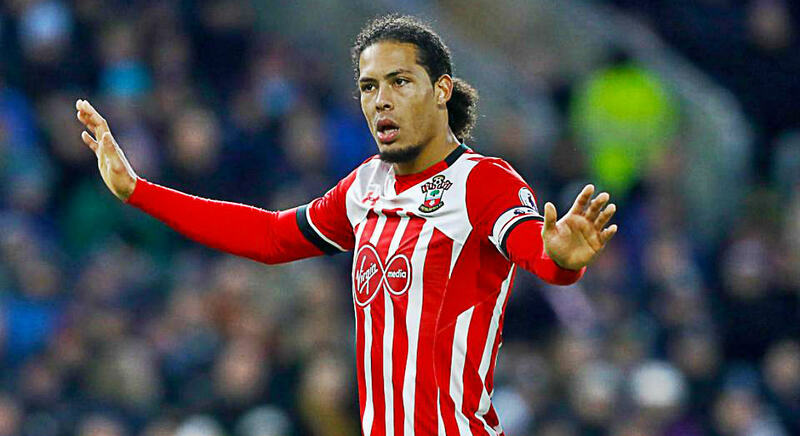 Virgil Van Dijk is hopeful that Liverpool will make a late move to rope him in after agreeing terms – with Arsenal and Chelsea also eyeing last-minute bids. According to The Times, Liverpool are ready to make a £70m offer for Southampton’s wantaway superstar defender Virgil Van Dijk. The Southampton defender is desperate to secure his move away from the St Mary’s, with Jurgen Klopp’s Liverpool in pole position to sign him before the transfer window shuts shop at 11pm today. The Dutch centre-back has handed in a transfer request at Southampton amid huge interest from Chelsea and Liverpool and now Arsenal – and is yet to play for Southampton this season. The Dutch defender, who signed a six-year deal last season, has also slammed Southampton’s repeated attempts to keep him at the club amid huge interest from top Premier League clubs. Sources close to the player have revealed that Van Dijk wants to move to Liverpool, amid huge interest from Arsenal and Chelsea. Leicester winger Riyad Mahrez given permission to leave Algeria squad to complete transfer to a new club. 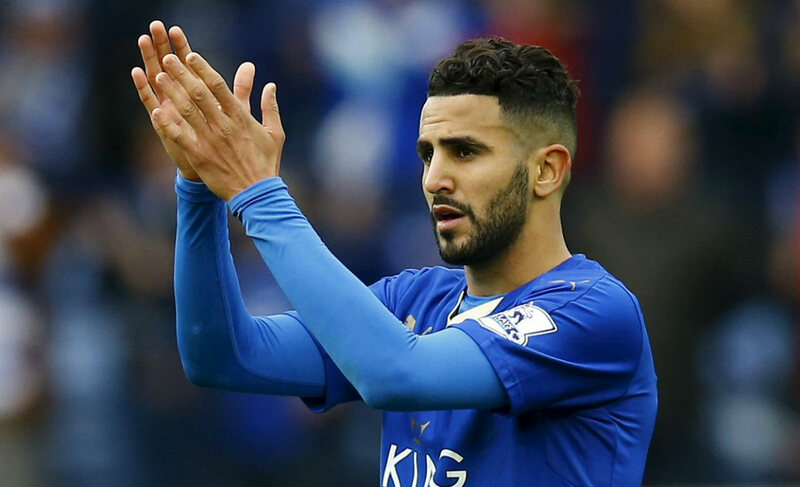 According to Manchester Evening News, Mahrez has left the Algerian camp to complete his switch to Manchester United. Reports earlier this week had claimed that Mourinho is a huge admirer of the Leicester City winger. 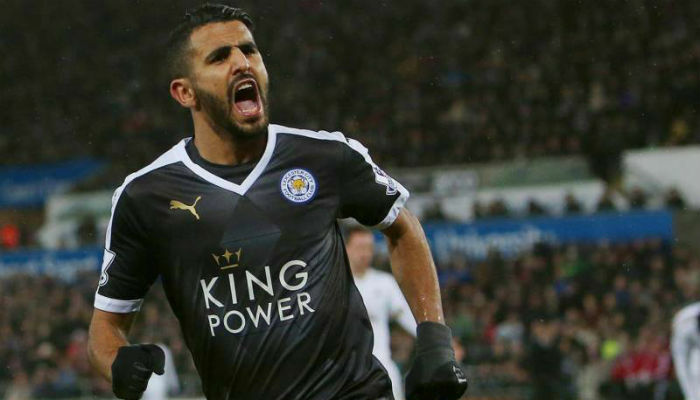 Sources also claim that Barcelona are ready to rival Man Utd and Arsenal to land Mahrez on deadline day. Stay Tuned for more updates. Sky Sports reporter Kaveh Solhekol has tweeted that Ligue 1 champions AS Monaco will only sell Lemar if Liverpool pay £92m for the French star. As for now, Liverpool have now launched a £74m bid and are ready to offer Divock Origi to Monaco on loan for a year. According to the Independent, Man City are on the brink of launching a £70m cash deal for Alexis Sanchez. The Report also suggests that City have already sent a team of legal and medical officials to complete the deal. But according to the Mirror, Arsenal will not allow Sanchez to leave until they rope in Julian Draxler from PSG. Alex Oxlade-Chamberlain is set to complete his transfer from Arsenal to Liverpool after the two clubs agreed a transfer fee of £40m. Oxlade-Chamberlain has agreed personal terms in the range of £120,000 a week, having turned down a £180,000 a week offer from Arsenal. Arsenal’s Alex Oxlade-Chamberlain has completed his Liverpool medical at St George’s Park. La Liga giants Atletico Madrid are not willing to match Chelsea’s £49m asking price for Diego Costa. 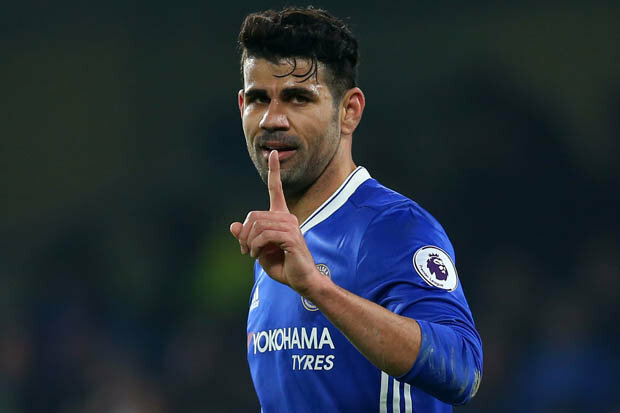 A loan move to either Everton or AC Milan seems unlikely as Costa is keen to return to his former club. But the Spanish club want to sign him in January, as they’re banned until then. Costa will need to return to training with Chelsea, according to The Daily Express.